A Nashville sunroom can add dramatic aesthetics to your home and serve as a perfect gathering spot for year-round outdoor living! 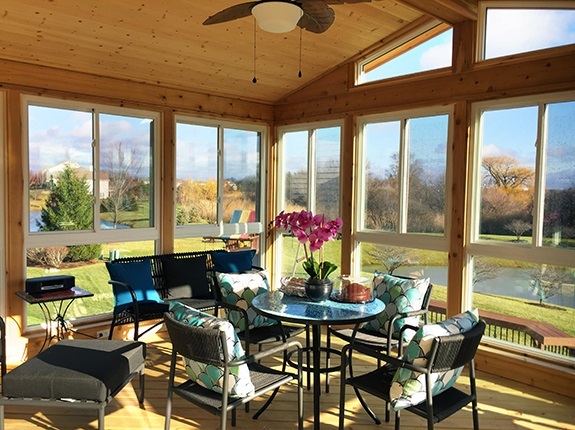 A sunroom is one of the only outdoor structures that extends your interior living area and offers a bird’s-eye view of the outside. 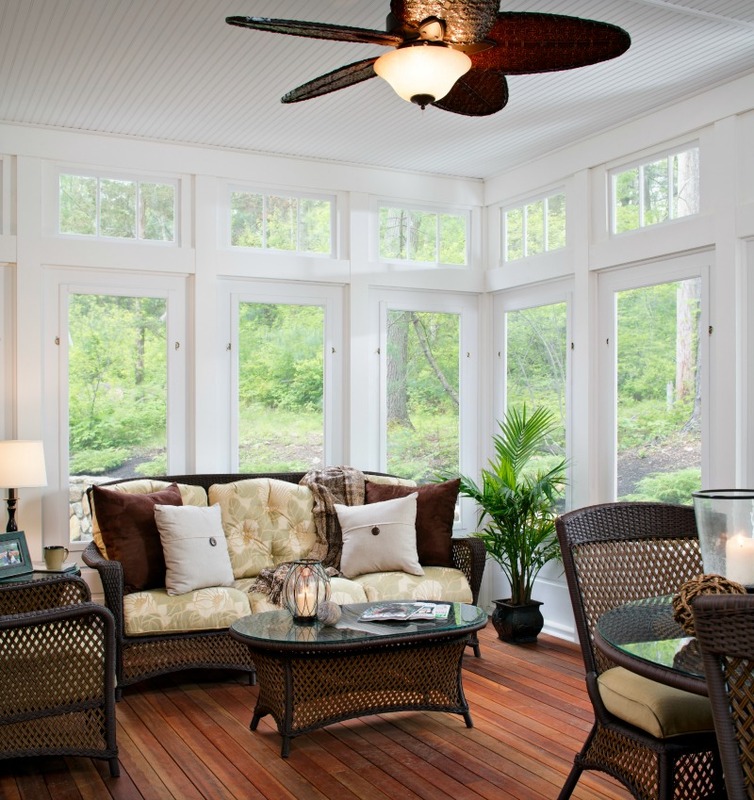 Sunrooms are sometimes referred to as 4-season rooms which are insulated and conditioned spaces. The term conditioned means they are heated and cooled to keep them, and you, at a constant comfortable temperature no matter if there is snow on the ground or blazing 100-degree temperatures outside. By choosing a Nashville sunroom addition you open all the design possibilities available with a traditional interior room addition, too. This means there is no danger of freezing temperatures causing flooring choices to crack or wood to degrade from exposure to the elements. Choosing a sunroom gives you the ability to trim your space with interior grade hardwoods or ceramic tile, carpet or laminate floors which are popular among Nashville homeowners right now. Choosing the appropriate roof style is also important since a sunroom comes under the heading of a roofed addition. Key elements to take into consideration when Choosing the Right Roof Style for Your Nashville Porch or Outdoor Room Addition include your back-of-home configuration and the roof style(s) that already exist on your home. The three most common roof styles here in the Middle Tennessee area are gable, hip and shed. 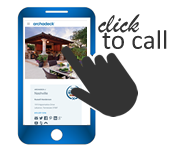 Through our experience and knowledge, Archadeck of Nashville can help identify the best roof style for your outdoor room addition. Considering the functionality of your structure is also crucial, for example; if you intend to use your structure as an extended room for dining and entertaining close proximity to your home’s kitchen would be a necessity for utmost enjoyment. 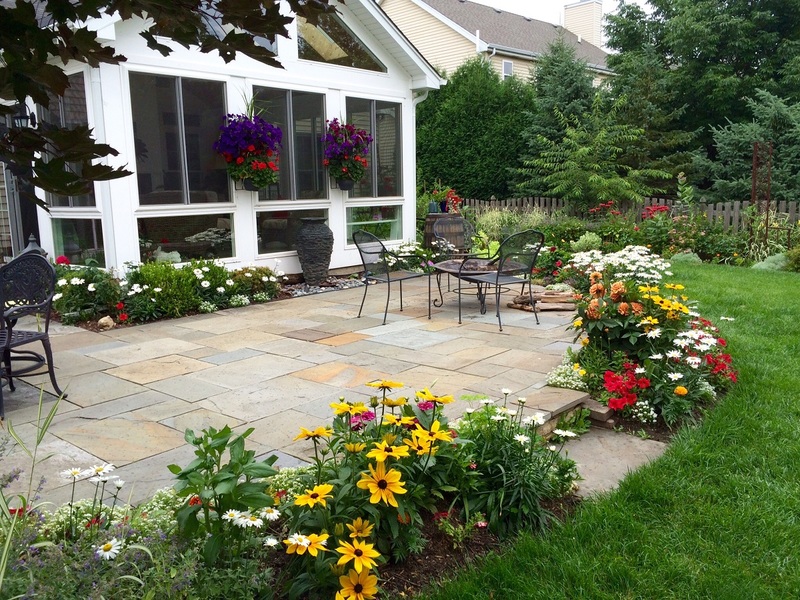 You may also want to consider the accessibility to and from your other outdoor living spaces, such as a deck or patio, and how they function together. 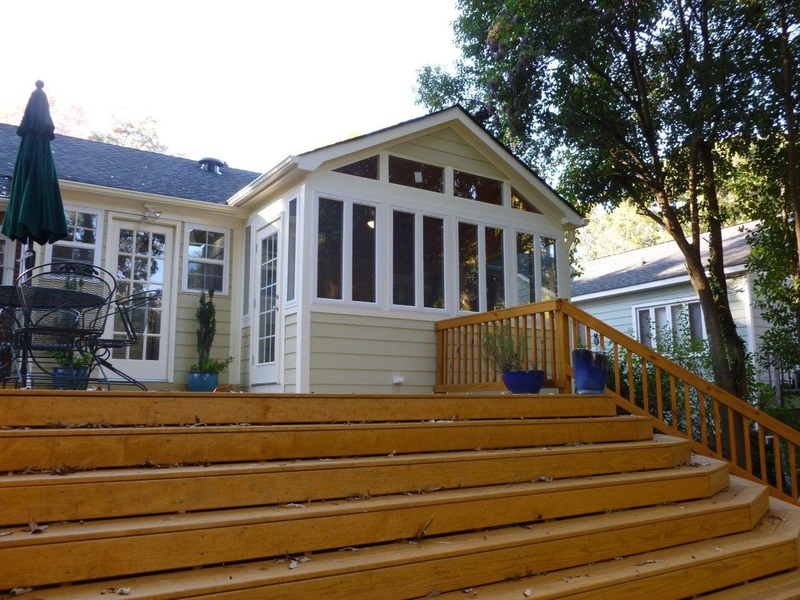 Our sunroom designs extend your living space and enjoyment. Our ultimate goal is to develop a sunroom that blends seamlessly into the existing architecture of your home. As part of our client-oriented approach to custom design, we will help you choose the features and materials that match your taste perfectly! If you are looking for a Nashville sunroom builder to build your new outdoor room contact us today to learn more at 615-547-2333 or send us an email at [email protected]. Want to soak up some rays without having to lay in the outdoor heat? Maybe you are more interested in reducing your heating bill, increasing the value of your home, or are looking for a fun, unique space that could serve multiple purposes. 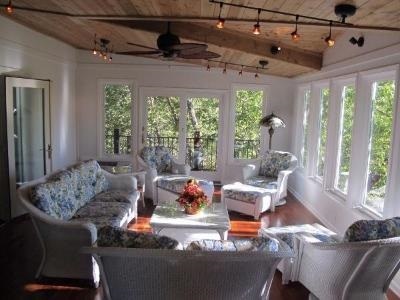 A gorgeous, custom-built sunroom from Archadeck of Nashville would be a smart choice for you and your family. Not only will a sunroom make a striking visual impact on your living space, but it can be one of the most affordable rooms to build. Glass walls open up your home’s interior to sunlight and keep a barrier between your family and the bugs and inclement weather, allowing you to enjoy the beauty of your garden in wind, snow, rain or shine. Primarily constructed of single or double pane glass, our sunrooms are lovingly designed to fit the look and feel of your home. Whether you are looking for a unique and irresistible family room, a sunny play- or gameroom for the kids (and the grown-ups! 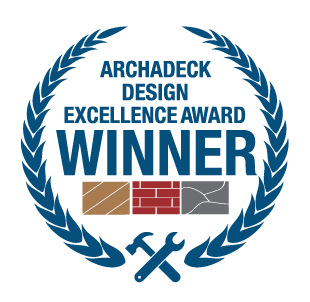 ), an airy place to exercise, a striking place to host a party, a way to bring your garden indoors and make your plants feel at home, or all of the above; you can rely on Archadeck of Nashville to deliver a beautifully-crafted, high-quality addition to your home. Even if selling your home is not in your short-term plans, sometimes things change. If you end up moving in five years or in 15, the potential value you would add to your home by this one simple addition is another thing to seriously consider. 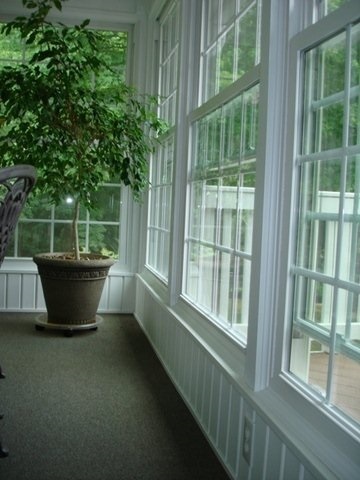 Sunrooms and enclosures are appealing to home buyers because they can greatly increase the value of your property. An affordable investment for you and your family, they are a dramatic way to provide extra living space without the hassle and cost of conventional construction.